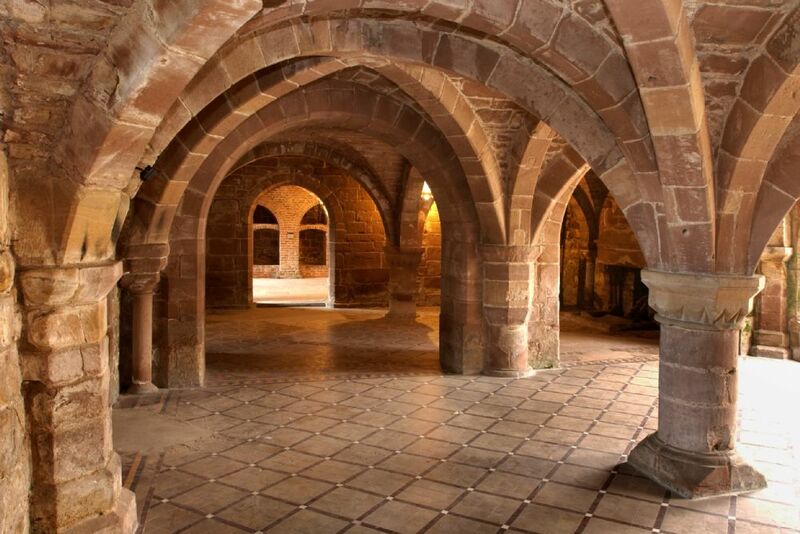 ....plus the opportunity to view Norton Priory's medieval undercroft and re-designed museum. The event starts at 5pm with a buffet supper at 6pm for those who have booked. See here for more information and booking details. And for the opportunity to purchase the latest CGT publication 'Kemp's Parks and Gardens in Cheshire'. Norton Priory was founded in 1134. It was home to an Order of Augustinian Canons (priests who lived in a monastic community) and saw several phases of building and rebuilding, culminating in 1391 with its elevation to Abbey status. Today much of the original layout of the buildings - the cloisters, church, refectory and dormitory can be seen as well as the surviving 12th century undercroft.